On September 9, 2016, the National Labor Relations Board (NLRB) and the U.S. Justice Department filed a petition for certiorari in NLRB v. Murphy Oil, asking the U.S. Supreme Court to determine whether arbitration clauses requiring workers to arbitrate disputes individually—and not on the basis of collective or class actions (“class action waivers”)—are invalid under federal labor law. Given the clear split on this legal issue among the federal circuit courts, the Supreme Court appears likely to accept review. What’s the Split and Where Does Minnesota Stand? Minnesota is in the 8th Circuit Court of Appeals, which has held that employers have the right to require employees to arbitrate disputes individually. 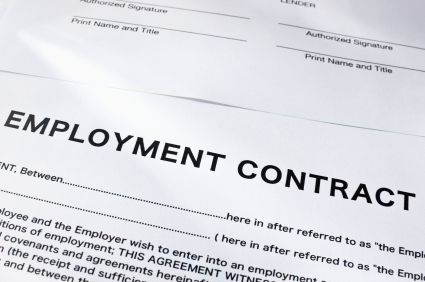 In other words, employment agreements interpreted in Minnesota courts under 8th Circuit precedent will generally enforce class action waivers in employment contracts. The 2nd and 5th Circuit Courts of Appeals have held similarly. In fact, in Patterson v. Raymours Furniture Company, Inc., decided September 2, 2016, the 2nd Circuit indicated that it might have held that class action waivers are unenforceable, but the court had to follow its own long-standing precedent upholding class action waivers (which precedent goes back as far as 2013). The court may have been signaling that it would like to see the Supreme Court review the issue, if not invalidate class action waivers. The 7th and 9th Circuit Courts of Appeal have found class action waivers invalid under federal labor law—the National Labor Relations Act (NLRA)—holding that the NLRA protects concerted activity, which is the right of non-management employees to act together in relation to work-related claims. In fact, the 9th Circuit’s opinion was recently issued on August 22, 2016, in Morris v. Ernst & Young. Until that decision was issued, the 7th Circuit was the only Circuit to invalidate the class action waivers under the NLRA, causing some to think the 7th Circuit’s opinion might be an outlier. With the 9th Circuit jumping in, however, there is now a clear split on the issue. According to the NLRB’s brief in support of its petition for review, “countless” non-union employees have signed class action waivers in arbitration agreements—possibly as many as one-third of all non-union workers in the United States. If such agreements are invalidated, will there be a meaningful uptick in class action lawsuits? Possibly so. Should class action waivers be ultimately found to be unenforceable under the NLRA, the strategies in which employers engage to resolve disputes informally before litigation may become more significant. Other litigation-prevention strategies will certainly help stave off collective and class actions, such as annual audits of policy and procedure, frequent audits of pay policies under the FLSA, and staying current with changes and developments to pay-related laws. In the absence of class action waivers in private employment agreements, employers might become motivated to re-energize workplace culture strategies—which have taken an increasingly important role in the modern workplace—and increasingly demanded by employees. For now, in Minnesota courts, your class action waivers are enforceable. We will keep you posted.